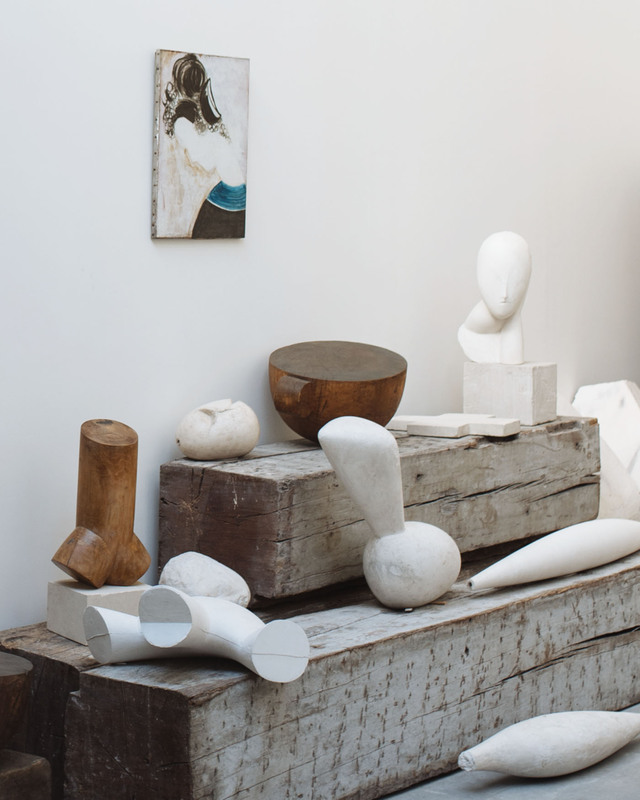 Constantin Brancusi (1876-1957) was a Romanian artist who made his career in Paris. 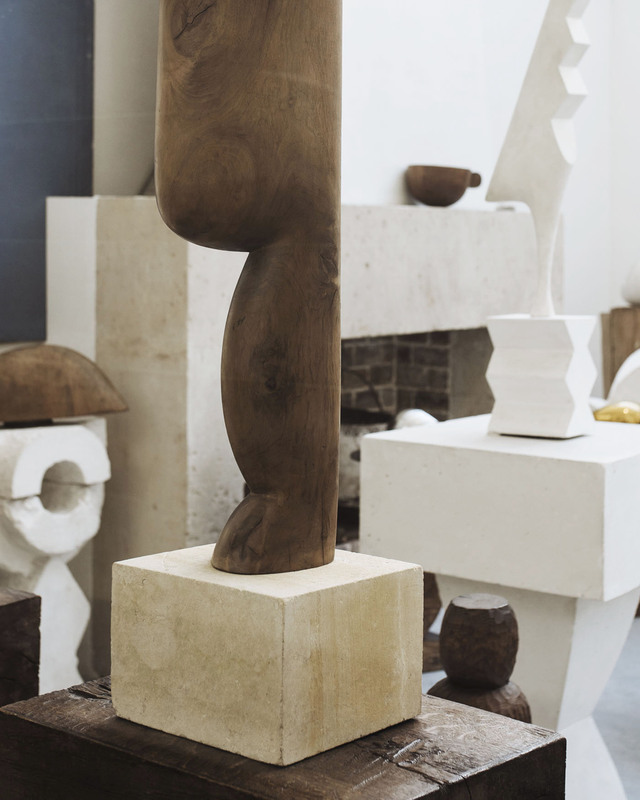 Considered a pioneer of modernism, Brancusi is best known for his abstract sculptures which he himself did not like to described as abstract. Instead, he thought that what is real is the essence of things, not the external form, and it is impossible to express anything essentially real by imitating its exterior surface. 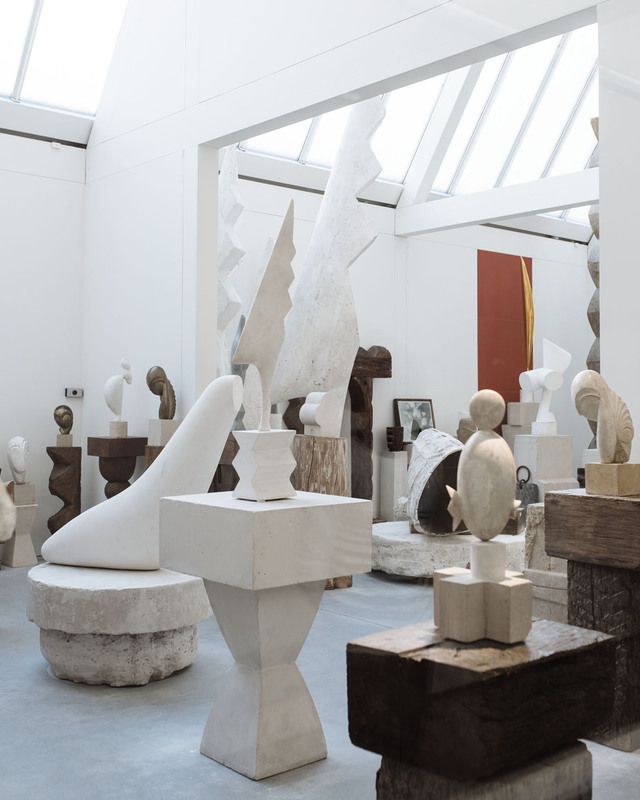 Along with making artworks, Brancusi was interested in the relationship between sculptures and the space they occupied. In the 1920’s his studio became an exhibition space and at the end of his life, he stopped creating sculptures and focused solely on their relationship within the studio. He no longer wanted to exhibit, and when he sold a work, he replaced it with plaster copy to retain the unity of the group. 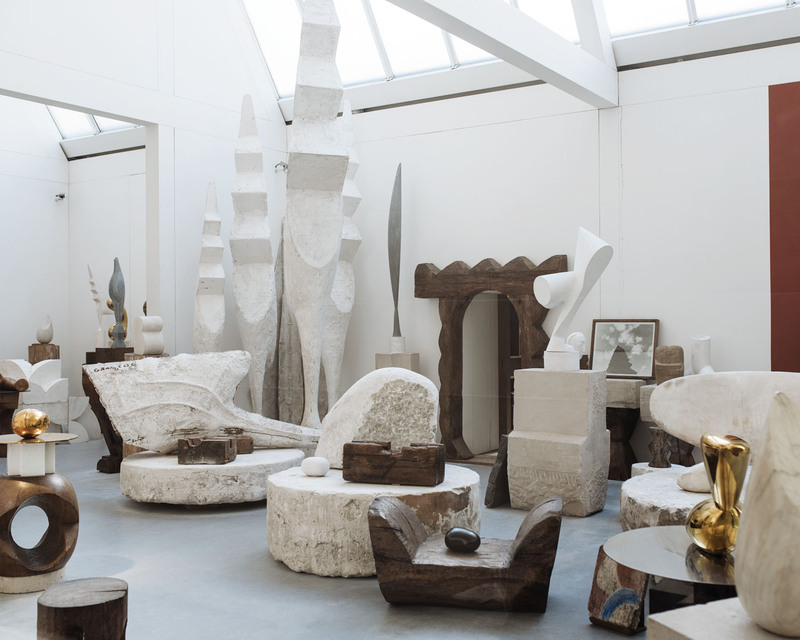 In his will, Brancusi left his entire studio to the French state on the condition that it would be rebuilt as it was on the day he died. The reconstruction of his studio is built next to Centre Pompidou in Paris and is open to public without an entrance fee. It features a collection of 137 sculptures, 87 pedestals, 41 drawings, 2 paintings and more than 1600 photographic glass plates and original prints by the artist.